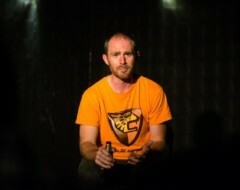 FringeArts’ new venue on Delaware Ave was created to bring the kind of innovative dance and theater performances that are the hallmark of the annual Fringe Festival to Philadelphia audiences year-round. This weekend’s performance, ROCCO by ICKamsterdam, is ideally suited to the theatrical space. 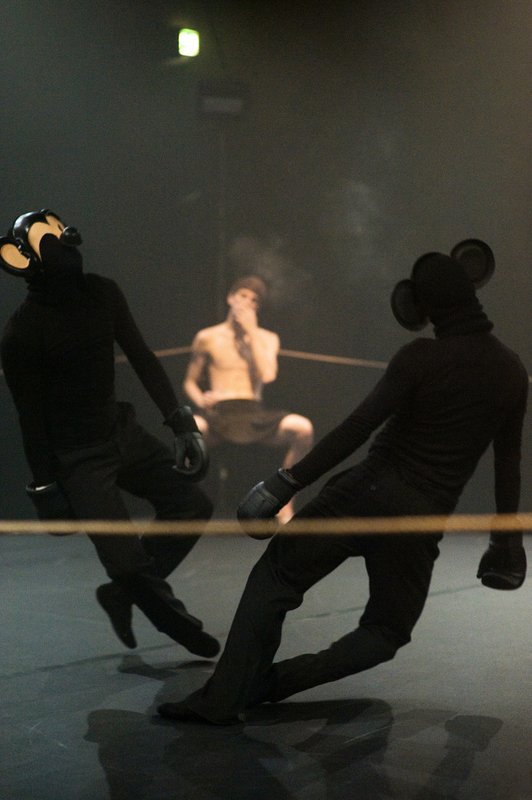 Created by acclaimed Dutch choreographers Emio Greco and Pieter Scholten, ROCCO pits male dancer-fighters against one another in a suite of choreographed bouts, set to electronic music and the sound of boxing bells. 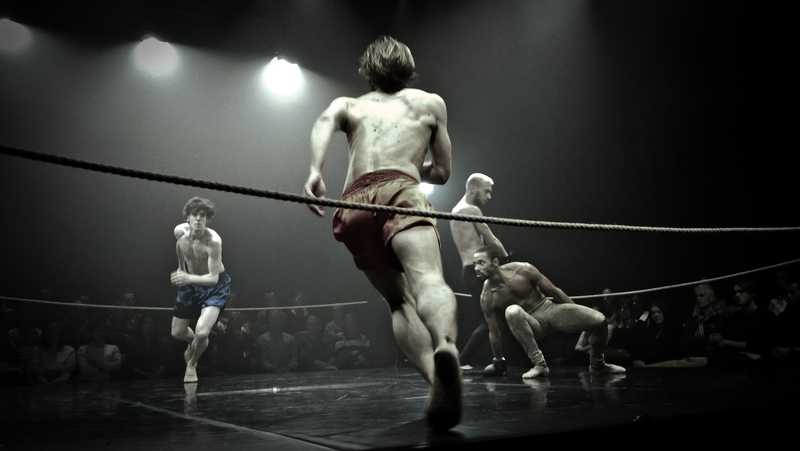 Set in a stylized boxing ring with seating on three sides, the show promises to take us “to physical and psychological extremes of love and brutality”. 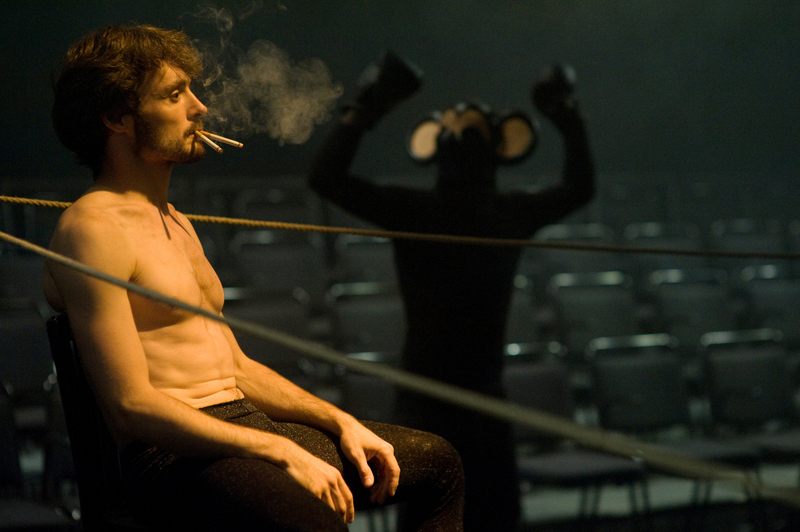 The creators were inspired by the 1960 Italian film Rocco and His Brothers, so the dancers in the ring are brothers and antagonists, struggling on both physical and spiritual planes. To Philadelphia audiences, the title will also be reminiscent Sylvester Stallone’s Rocky series, the seventh installment of which is now being filmed in the city. Boxing movies have won more academy awards than any other type of sports movie. As the Rocky series’ enduring appeal demonstrates, there is something captivating in the choreography of boxing. To round out the experience, Peter Woolsey, executive chef of the onsite restaurant and bar La Peg, has created a special three-course menu “VS.”, available before or after the show. 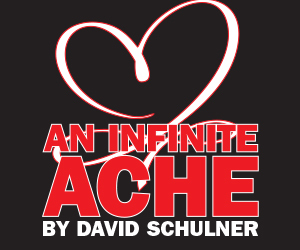 [FringeArts, 140 N. Columbus Boulevard] February 27-28, 2015; fringearts.org.